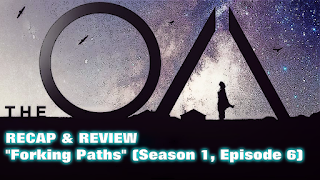 We're up to part six of my watch and review of the Netflix Original series 'The OA' with 'Forking Paths', which was a surprisingly short episode! But we're talking Dr. Hap, Buck, and Multi-World Theories based on what I just watched! 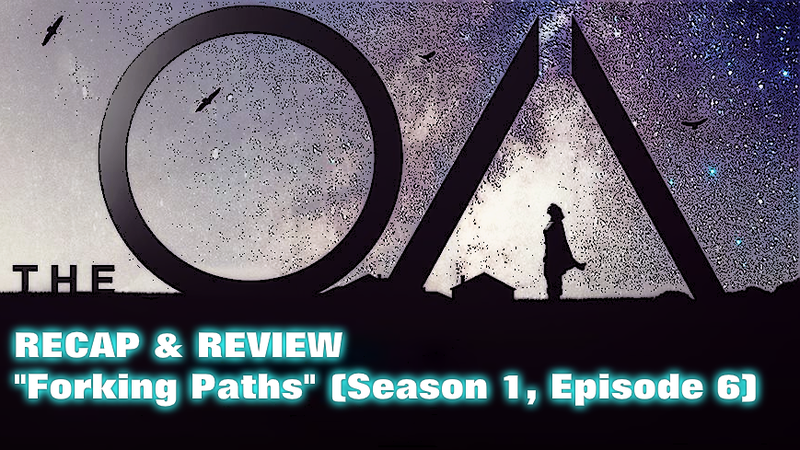 We’re up to episode six of the OA with ‘Forking Paths’ and there is no other way to say it, this was surprisingly short at little over 30 minutes, and this episode really felt more ‘transitional’ as if to get certain elements in place for the final two episodes of the season. The big thing here is that HAP went to his mentor who is pursuing the exact same work he is, proof of an Afterlife, and he’s even more further gone than HAP, willing to kill him to learn what HAP has discovered, and HAP has to kill him out of self-defense, but this encounter rattles him to where he wants to just take Prairie and go somewhere and make money with what is already discovered. If this was designed to have the viewer sympathize with HAP, it certainly failed in a huge way cause he’s still an unlikeable douche for what we’ve seen him do prior to his episode. Still in sending Prairie though the machine, HAP learns that she ended up around the ring of Saturn based on background sounds that he’s been recording… which leads to HAP being so engrossed with this discovery, he leaves his door unlocked as he dozes listening to the ‘song’ of Saturn’s rings as the Sheriff from the last episode walks in and sees HAP’s computer screens, drawing his gun and aiming it at the back of his head… this can only end in good. This episode also sees Prairie consider just looking for an easy way out, tempted a bit by HAP’s offer to just ‘go’, she has a conversation with Homer about failure and trying again until things turn out right, which reenforces her beliefs that everything will happen in due time. She does challenge HAP to get into his own damn machine if he wants things to progress ‘faster’. As far as the movements go, the group has four, with Renata getting the fourth, but Rachel hasn’t received hers yet… and I wonder if maybe the fifth movement is ‘vocal’ and not ‘physical’, cause Rachel can sing and its’ established that Buck is a hell of a singer as well. Which brings us to Buck him / herself, we finally get glimpse of his home life and hear his parents arguing about him and his transgendered status. It’s not much to really go on, but we see him practicing the movements in a nice bit of solo screen time. A nice quite moment for this short episode that saw Buck running a bit late when meeting with Prairie, Steve, Jesse, French & Mrs. BA. 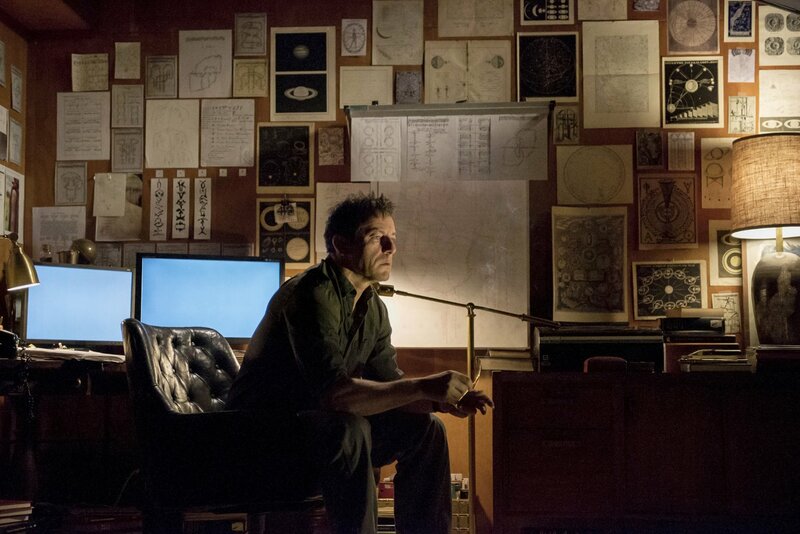 On to the ‘many-worlds’ theory that was introduced in this episode and with the title ‘Forking Paths’, this is something we see a lot in comics as well as TV shows. I think was best described as such, with every decision one makes, a reality where the opposite choice also occurs… some realities are different in subtle ways, others in massive, depending on the scale of the choice, but each reality is slightly out of phase with the other… and jumping between the realities is quite difficult. Standout performance in this episode will go to Michael Cumpstry who played Dr. Leon Citro, HAP’s mentor. Until it was revealed his character was doing the same research as HAP, I’d assume he was giving him advice on just lab rats, but when the revelation is made and he turns on HAP to kill him, the twist was really well told. Makes you wonder what if Cumpstry’s character bumped off HAP and gone to his place… of if he’d be able to find it out right, how the story would be different. Because this episode was only 30 minutes, I’ll be back later with my thoughts on episode 7 later tonight!